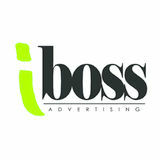 direction of the company, helping the corporation grow. Looking at the work behind the hustle of intrapreneur, it’s clear that their job is anything but easy. They spend countless hours looking for unheard of ideas to bring innovation to the company. They are the people who go above and beyond without being told to do so, and by doing so, they gain influence and leadership positions. The ability to serve as a leader within your own organization can help you grow and build relationships throughout the company. 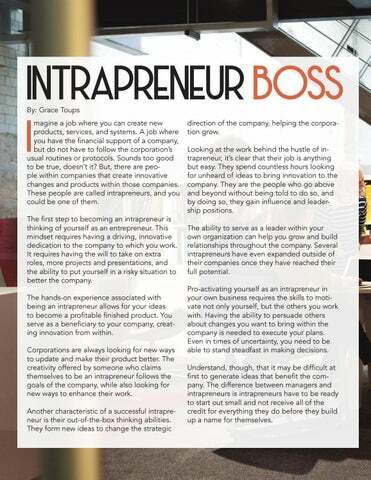 Several intrapreneurs have even expanded outside of their companies once they have reached their full potential. Pro-activating yourself as an intrapreneur in your own business requires the skills to motivate not only yourself, but the others you work with. Having the ability to persuade others about changes you want to bring within the company is needed to execute your plans. Even in times of uncertainty, you need to be able to stand steadfast in making decisions. Understand, though, that it may be difficult at first to generate ideas that benefit the company. The difference between managers and intrapreneurs is intrapreneurs have to be ready to start out small and not receive all of the credit for everything they do before they build up a name for themselves.